Lenovo Thinkpad W500 4058 with discrete graphics Specifications. Lenovo ThinkPad T500 2081 with discrete graphics Specifications. Diagonal Screen Size : 15.4"
Lenovo ThinkPad T400 2764 Specifications. Diagonal Screen Size : 14.1"
Lenovo ThinkPad T500 2242 with integrated graphics Specifications. Lenovo Elite ThinkPad R500 2714 with integrated graphics Specifications. Lenovo ThinkPad T400 7417 Specifications. Lenovo ThinkPad R400 7443 with integrated graphics Specifications. Lenovo ThinkPad R500 with integrated graphics Specifications. Zepto Znote X17a Xtreme Deluxe Specifications. Zepto Znote X17a Xtreme Basis Specifications. Zepto Znote G15b Gaming Deluxe Specifications. Zepto Znote G15b Gaming Basis Specifications. Zepto Znote G14b Gaming Deluxe Specifications. Zepto Znote G14b Gaming Basis Specifications. Zepto Znote M15B Deluxe Specifications. Zepto Znote M15B Basis Specifications. Zepto Znote V15A Deluxe Specifications. Zepto Znote V15A Basic Specifications. Toshiba Satellite A500 (A505-S6960) Specifications. Toshiba Satellite M500 (M505-S4940) Specifications. Toshiba Satellite U500 (U500-ST5302) Specifications. Weight : Starting at 4.7 lbs. 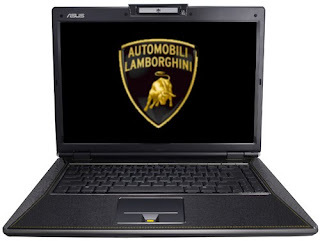 Diagonal Screen Size : 12.1"
Asus Lamborghini VX5 Special Edition Specifications. 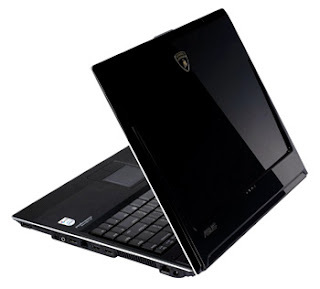 Diagonal Screen Size : 16.1"
Asus Lamborghini VX3 Special Edition Specifications. ASUS Lamborghini VX2 Special Edition Specifications. Interchangeable 5.25" ATAPI 8X/4X, DVD+R/RW: 8X/4X, CD-R/RW:24X/10X, DVD-ROM:8X, CD-ROM: 24X DVD-Dual-D/L module, 8X DVD-Dual Light Scribe -Support Module HOT Swap Function and 2nd HDD/Batt. ASUS Lamborghini VX1 Special Edition Specifications. Diagonal Screen Size : 15"
ASUS Special Edition S6F Specifications. Diagonal Screen Size : 11.1"
Ethernet :Integrated Intel® High Definition Audio chip ( Azalia) compliant MDC fax/modem and 10/100/1000 Base T.
Bluetooth : Built-in Bluetooth™ V2.0+EDR(optional). ASUS Special Edition U6V Bamboo Specifications.